The Train is a train. It is average speed, fun, rerideable, it has a large capacity, and a long duraion. It gives a nice view of the park. Conneauts Train was a pretty decent train ride overall. The train itself looked good, and the "conductor" was nice. 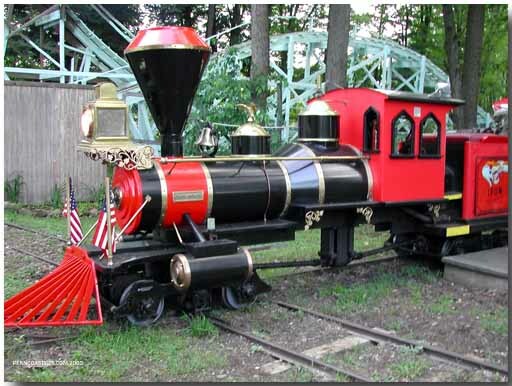 Its rather small for a train ride (compared to others Ive been on) and the course it takes is just ok. Part of the problem there though is that theres just not much to look at as the park has become increasingly more run-down over the years. Its still a relaxing ride, I only wish that the park had some real owners who could spruce things up a bit, and maybe give this ride some scenery.